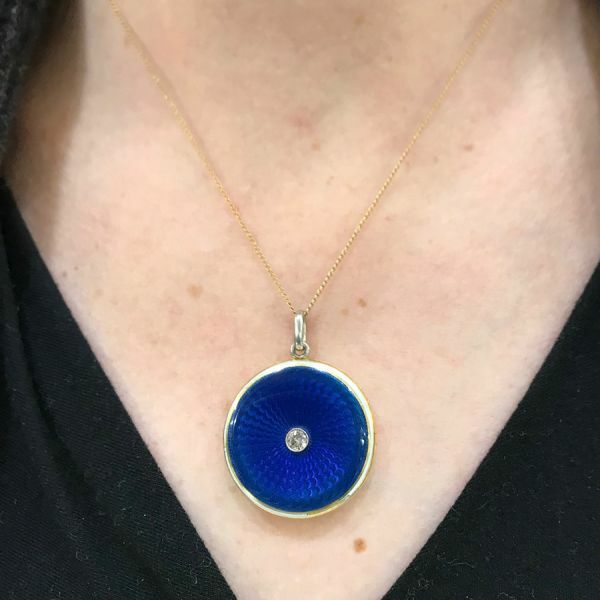 One 18 karat yellow gold enamel locket. One old European cut diamond (0.15 carats: SI2 clarity: H-I colour). The locket has a blue radiating enamel finish on one side and interlocking monogram on the other side.